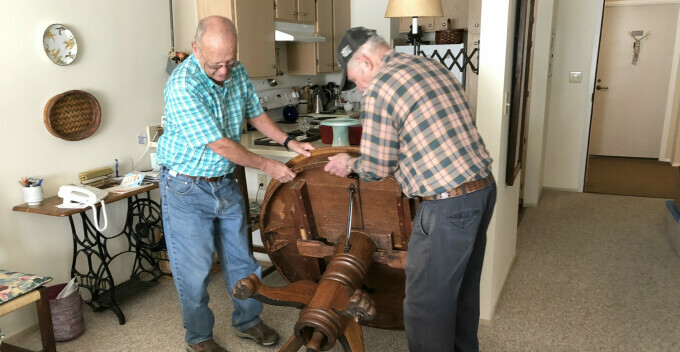 Bethany Smoother Movers Joe Sommerseth and Jim Rohrscheib helped Dorothy Webb move a few things from her former home to her new home at Winslow Manor on Tuesday. The men hoisted a generations-old oak dining-room table into the back of Sommerseth's pickup and off they went. There was nary a scratch, but a grateful Webb said it wouldn't have matter if there were. We all wish Dorothy well in her new home. Don't forget we have Lenten soup and devotions at noon and again at 6:15 p.m. today.